The unhappiest people in the world are those who care the most about what other people think. Where were you brought up? What were your growing up years like? I was born and raised in Kentucky, and am the youngest of four girls, beating out my twin sister for the title by a scant two minutes. Growing up, I was tall, awkward, and painfully shy. Looking back now, I think that shyness probably steered me towards the path of writing. What was your favorite genre to read as a child? Which is your favorite book? I’m not sure if I had a favorite genre growing up, but I do remember one of the first authors that I read – and adored – was Beverly Cleary. Henry and Ribsy was actually the first book I bought for my oldest son after he was born. I couldn’t wait for him to get old enough to read about their adventures. What drew you towards writing? How old were you when you wrote your first piece? I’ve always found writing to be very cathartic. There were times growing up, that I felt I lived inside my head. I believe I was around eight or nine when I wrote my first story. It was an adventure-filled drama. Do you insist that your children read? How important do you think reading is? Fortunately, I’ve never had to insist. Both my sons enjoy reading. My oldest likes SciFi and my youngest loves Dystopian. I believe reading is as educational for our minds as it is healing to our souls. Does your role as a wife and a mother contribute in any way to your writing? Well, I do know what it’s like being both and have definitely used that to my advantage in writing certain scenes, whether it be an intimate setting or a sleep-deprived mother trying to carry on a coherent conversation. It also contributes in a different way, in that I hope my sons will come to understand that no dream is impossible if you want it badly enough. Handling so many different roles comes with a lot of responsibility and accountability. How do you manage to make time for your family and juggle with other tasks including writing? It’s not easy. There are times my house is in somewhat of a disarray because it’s taken a backseat to my writing and vice versa. I often find myself writing from ten ‘til midnight – after everyone has gone to bed. Of course, it’s summer right now, so there’s not much writing going on at the moment. LOL! You write about subjects like alcoholism, mental health and illness, infidelity, etc. that are personal and widespread social issues across the world. How important do you think it is to talk about these problems out in the open? Very! Bipolar disorder affects approximately 5.7 million adults in America. Of these persons, nearly half of them will try to commit suicide at least once in their lifetime. Women, however, may attempt it two to three times. These statistics alone are a heartbreaking fact – but add a name or a face of a family member to it, and it becomes devastating. Mental illness not only touches those who have it – it consumes their loved ones as well, leaving a haunting impression long after they are gone. Mental illness is something that we must not ignore, and talking about it in a public manner is one way for those affected, whether directly or indirectly, to realize they are not alone. What inspires you to pick up such tabooed issues and spin stories around them? The answer to that would be DRAMA. I love it. Why, you ask? Because drama is raw. Drama is pure. Drama evokes emotion like no other. And when you combine it with certain taboo subjects, it’s positively electrifying. Your heroines are not always weak, and heroes not always strong. What message do you wish to convey by creating your characters different from the conventional way? I think the days of a woman being tied to a train track in order to be rescued by the dashing man are over. Strong women have been present since the beginning of time, and in my lifetime, I have met some truly amazing ones, so why not write the truth? The portrayal of women in literature has evolved over the years. How do you feel about the way the female characters are presented? How far are we still to go to bring women equal to men, both in the real world and in literature? In the real world, I think it goes without saying that there’s been a shift in momentum, and I think we’re heading in the right direction. Stories with strong, heroic women are on the bestseller lists on a daily basis – and have been for some time. 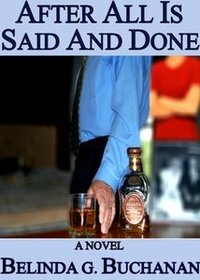 Your first book “After All is Said and Done” gathered great praise for being real and honest. Were there any real life instances that the story or parts of it were inspired from? Growing up, I witnessed firsthand what alcohol could do to a person. Although, none of what I saw went into the book, it certainly was a catalyst for writing it. The other part of the book was about adultery. Fortunately, I’ve never had to go through that, but I have seen how it can destroy a person’s image of themselves as well as hamper future relationships, and I wanted to convey that in the story. 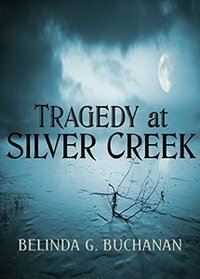 All your characters, be it Ethan from Season of Darkness or Jack from Tragedy at Silver Creek have a dark past that they are dealing with. What inspires you to write such characters? I have always been fascinated with the dark side of the human psyche. Giving life to characters that aren’t perfect is what makes them human, and I believe that allows readers to identify with them more easily. Which is the next book that you are working on? What is it about? My next novel, “Winter’s Kill”, is a mystery set in a small town in South Dakota. 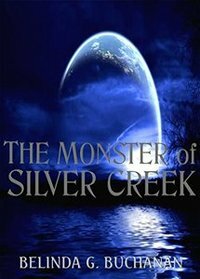 A young sheriff, grappling with personal issues, struggles to solve the brutal murders of a local celebrity and a young girl. 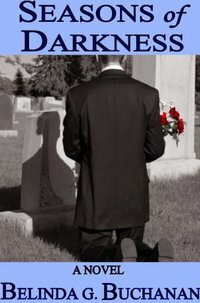 Things grow quickly from bad to worse when a past incident is dragged into the present, further complicating matters for him. 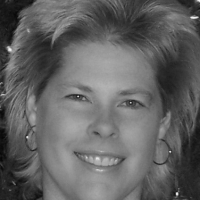 Born and raised in Kentucky, Belinda G. Buchanan is an author of edgy, women's fiction & mystery novels. Growing up she was tall, awkward, and painfully shy. Looking back now, she thinks that shyness probably steered her towards the path of writing. She was around eight or nine when she wrote her first story. 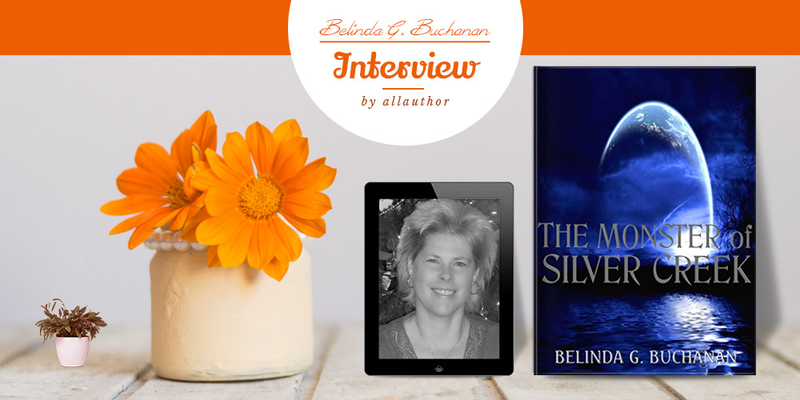 Belinda has always been fascinated with the dark side of the human psyche. Giving life to characters that aren’t perfect is what makes them human, and she believes that allows readers to identify with them more easily. Currently, she is working on her next novel, “Winter’s Kill” which is a mystery set in a small town in South Dakota. Wife to her soulmate, mother of two boys, professional hamster wrangler, Belinda is a firm believer that Krazy Glue fixes everything.